Narcissism is the modern disease. In the 24/7 plugged in universe in which we reside personal information can be shared at the touch of a button, and rated by an anonymous audience spread across the globe. It's something Blood Red Shoes have seen rise up, a pointed desire for the approval of others that they simply don't hold with. They're independent types, y'see: new album 'Get Tragic' (pre-order HERE) arrives on January 25th, released on their own Jazz Life label. With a flurry of live shows planned the duo have decided to share new cut 'Mexican Dress', and it's a fiery, intense, pointed return. We've first first dibs on the video, a stylish, unrelenting offering, all crunching of riff and pile-driver vocals. The duo's Laura-Mary Carter tells Clash: "Getting attention can be so damn addictive that some people can’t cope without it. 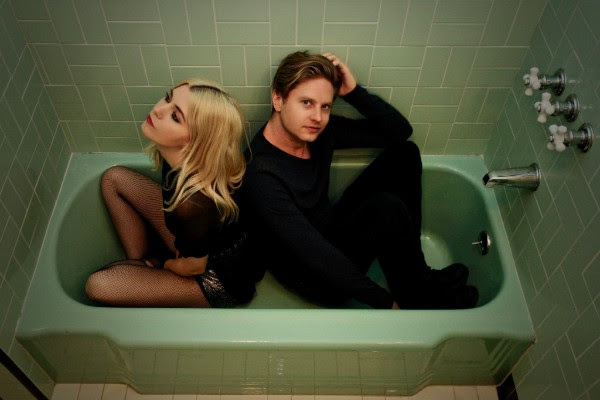 That’s what this song is addressing..."
For tickets to the latest Blood Red Shoes shows click HERE.